Indian Railway Catering and Tourism Corporation IRCTC of Indian Railway which directs and manages the catering, tourism and online ticketing operations of the railways is one of the fastest leading e-commerce site of India. It has redefined the travelling experience while travelling through the Indian Railways. IRCTC assist a traveller to book tickets through its website via GPRS or SMS and online booked tickets are delivered to the doorstep of the traveller with the PNR status. Would you like book your e-ticket and have a great experience with Indian Railways? Are you facing any hassle in booking tickets? Would you like to convey your grievances and complaints to IRCTC. Contact the Customer Care service number of IRCTC which is toll free and do have an happy journey with the listed out customer care services below. Here we've also discussed about how to book Tatkal ticket easily, why IRCTC portal is so slow, the reasons behind it. Check it now. IRCTC has a centralised for the convenience of railway users to suggest/grievances relating to catering services on Indian Railways. The facility is available 24x7 on this number and railway passengers can register their complaints/suggestions regarding food and catering services. Wherever possible, action is taken on real time basis for redressal of their grievances. Were you unable to get the connected with the toll free IRCTC customer care service then I suggest you to contact IRCTC 24X7 Control Offices phone numbers of their respective zones. IRCTC common 24/7 helpline number is 139 which is available round the clock and though out the year. Check PNR Status Carry PNR Enquiry and status check sending an SMS and get the details as SMS to 139 by writing ‘PNR’ followed by your 10 digit PNR number. IRCTC Customer Care Number for Catering related issues where a traveller can state his grievances and know more regarding the catering services in Indian Railways. 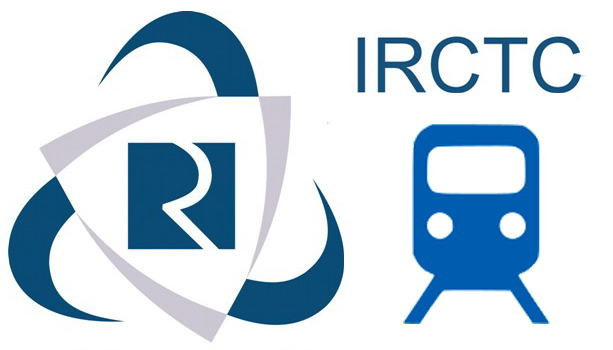 IRCTC tourism helpline number helps the travellers to get more information and best places to travel through the Indian Railways at the same this customer care service enables them to report the loopholes and their grievances which are related to the tourism. 2. etickets@irctc.co.in for cancellation of E-tickets, refund and failed transactions. 3. customercare.ecatering@irctc.com for queries/requests related to e-catering. This is the complete information for IRCTC helpline thanks for the information. helpline toll-free thanks for the information. Hi. i was searching for this details only. Nice article on information to contact IRCTC helpline. Thank you. IRCTC Customer number given above are really helpful. Thanks for providing this useful info. Thanks for uploading this great article. Get IRCTC Customer Care Number. Nice Article . You can check PNR Status , train status at www.scanpnrstatus.com. All at one place. Thanks for this list. 139 पर कोल क्यों करता है ? जनता को शिकायत करनी हो. तब मदद मांगता है. इस नंबर को स्पेशल नंबर कहकर इसमे लुट क्यों की जाती है. जो पहले कि सरकार अभी की सरकार कोई फर्क है. 1800-111-139. , शिफॅ नाम के लिये है Toll Free Helpline Enquiry . कोई ऊठाता नही है . thanks sir for this information ..i love this site.. please write some more about irctc trains time table etc. nice post, thanks for sharing the customer care numbers for booking tatkal tickets and Check seat availability train after booking tickets for journey. Good Post, Thanks for sharing. !